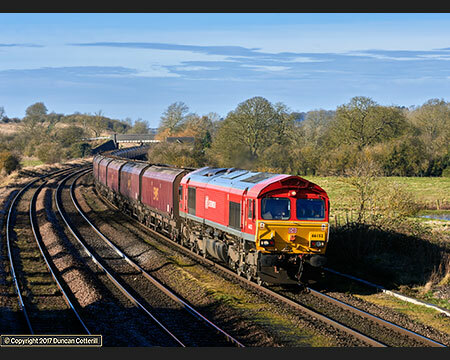 More photos of diesel freights in the Midlands and the North of England. Baden Württemberg main line diesel and electric action in April/May 2017. 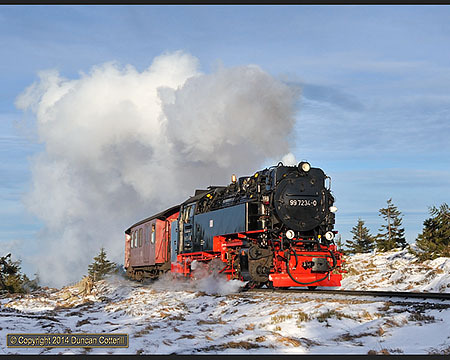 A week of metre gauge steam in the Harz Mountains in February 2017. 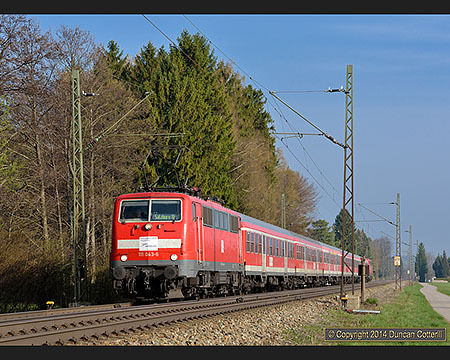 Class 143s and other electrics working freight around Hannover and Bremen. 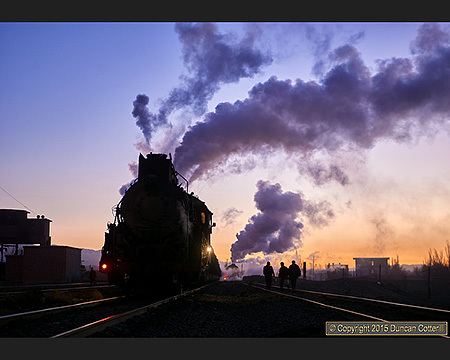 Industrial steam still survives in China at the end of 2016 but only just. A final trip to one of Europe’s greatest mountain main lines in August 2016. 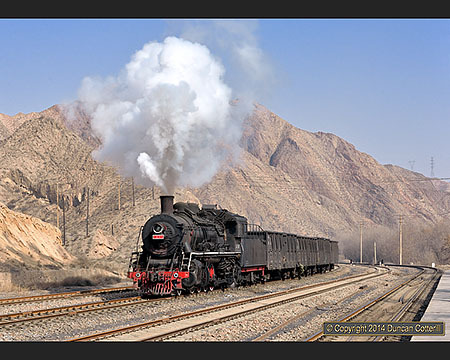 New steam pictures from 2013 to 2015 in the first new format Chinese photo galleries. 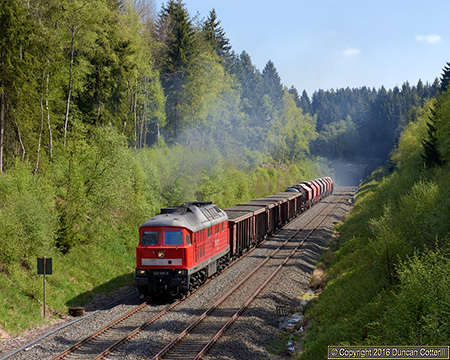 Diverted diesel freights in the scenic north-east of Bavaria in April and May 2016. 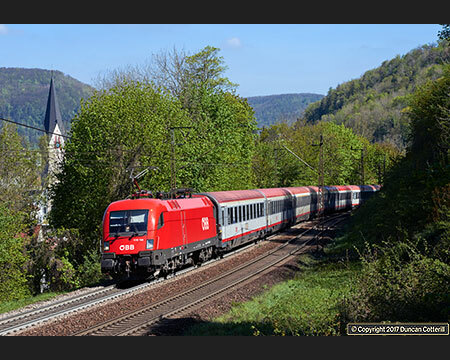 281 photos of Germany's most photogenic railway taken between 2006 to 2014. 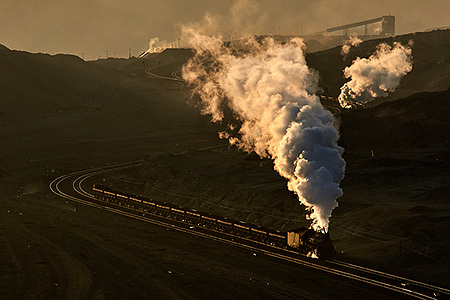 China's last steam worked mining railways, still working at the end of 2015. 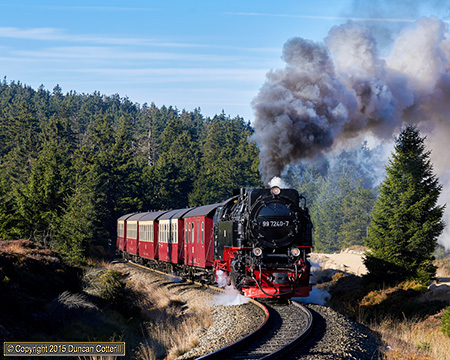 Hard working steam locos conquer Germany's Harz Mountains in October 2015. 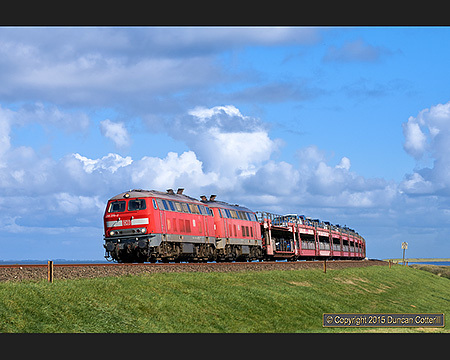 Diesel haulage over the sea to Germany's coastal holiday paradise in September 2015. 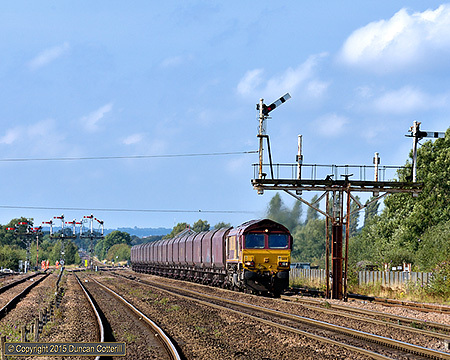 Heavy freights and semaphore signals in North Lincolnshire in September 2015. 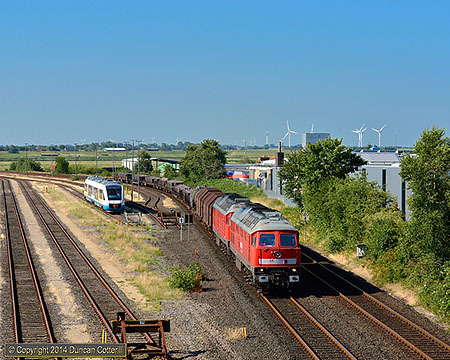 Diverted freights bring big diesels to Germany's Marschbahn and southern Denmark in July 2015. 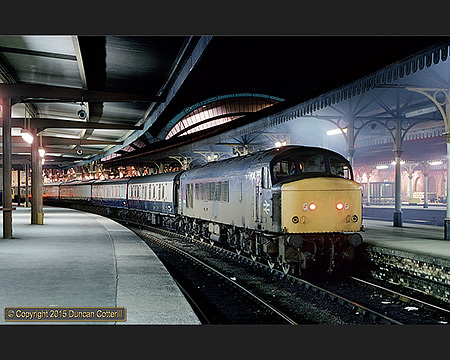 More pictures of Britain's railways in the early 1980s in the first of the new style photo galleries. 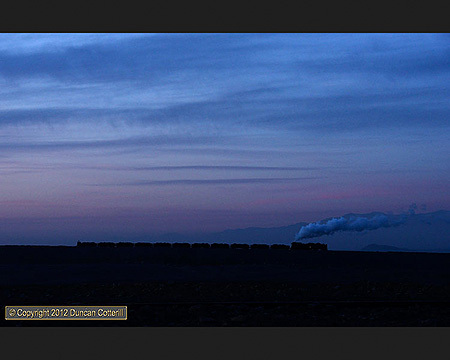 Sandaoling’s opencast mining operation was busier than ever in December 2014. 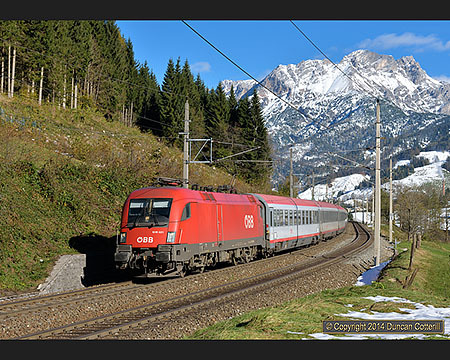 Diverted RailJets and ICs on Austria’s Wörgl - Schwarzach-St. Veit line in October 2014. 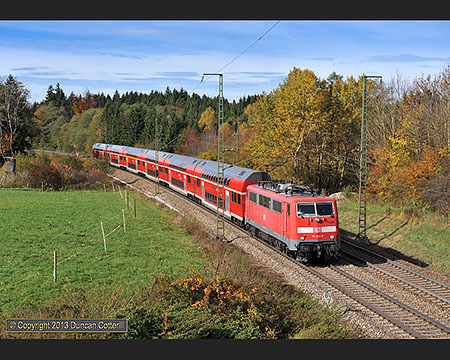 Diverted freights on Germany's gloriously scenic Allgäubahn in Autumn 2014. 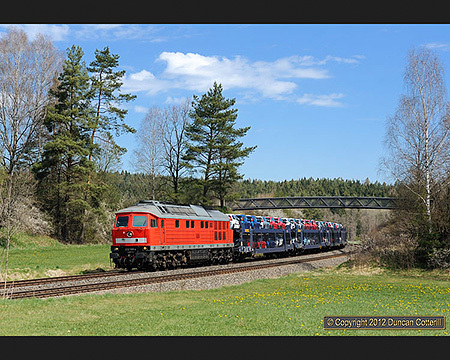 MZ class diesels on diverted freights in southern Denmark in July 2014. 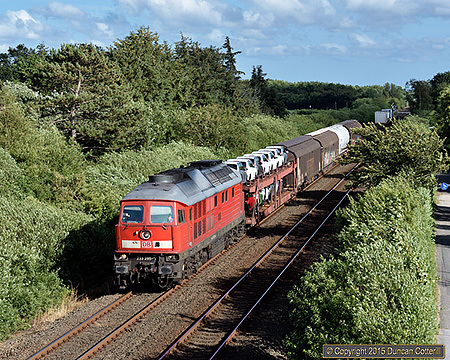 Diesel hauled freights over the Marschbahn, north of Hamburg, in July 2014. 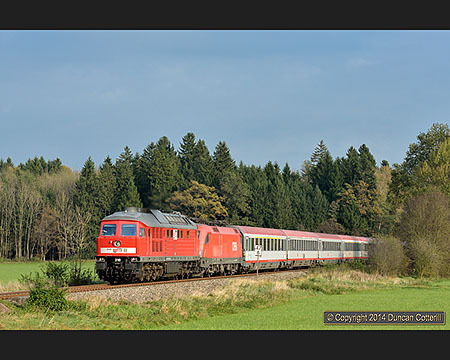 Diverted, diesel hauled, EuroCity trains through south-east Bavaria in October 2014. 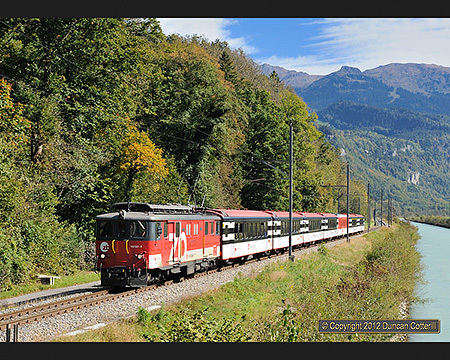 Report of an autumn trip to Switzerland including the Zentralbahn's vintage class 110s. 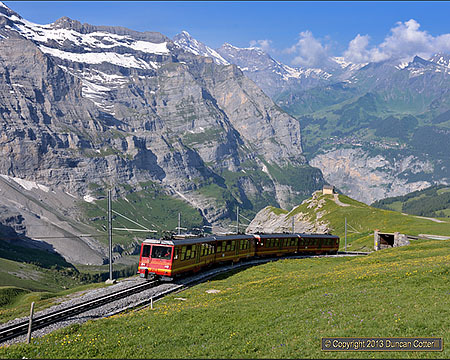 Swiss mountain lines including the Jungfrau, Wengernalp and Schynige Platte Bahnen. 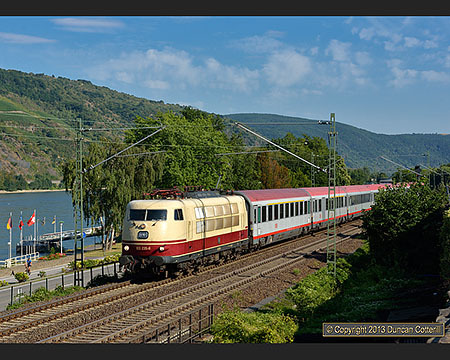 September 2013 in southern Germany including vintage electrics on the Gäubahn. 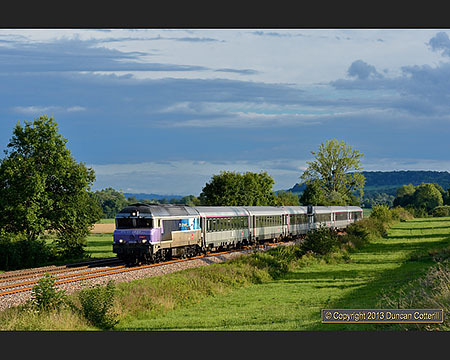 Class 72100 diesels on the Paris - Belfort line in this September 2013 Trip Report. 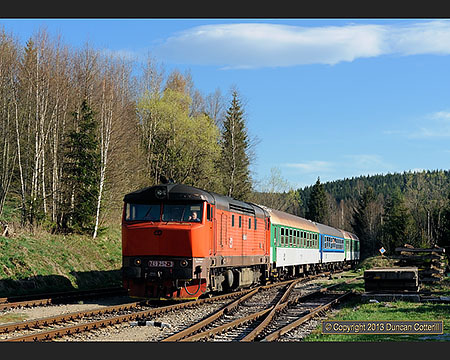 Photos from a May 2012 visit to the Nove Udoli line in the Czech Republic. 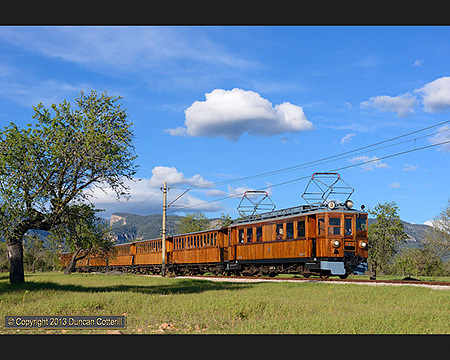 March 2013 Report from Mallorca including the Sóller Railway and its 1929 built motor coaches. 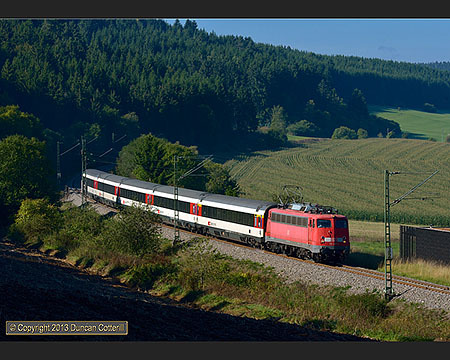 Diverted EuroCity trains on Bayern's scenic Mühldorf - Freilassing line in October 2013. 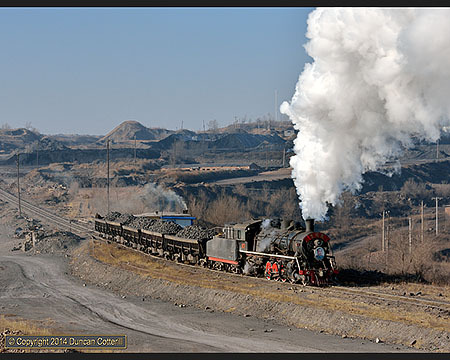 Report of a November 2013 trip to China including the Sandaoling Mining Railway. 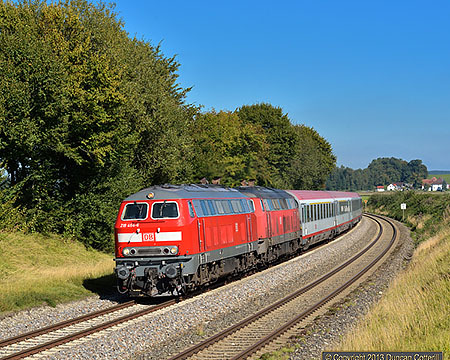 Report of a September 2013 visit to the diesel worked Ulm - Friedrichshafen line. 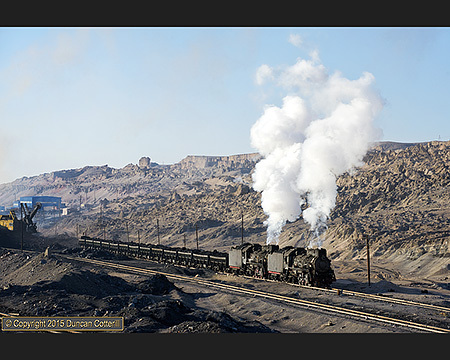 Decorated SY1395 “Zhu De Hao” was still at work on Fuxin’s Mining Railway in December 2014. 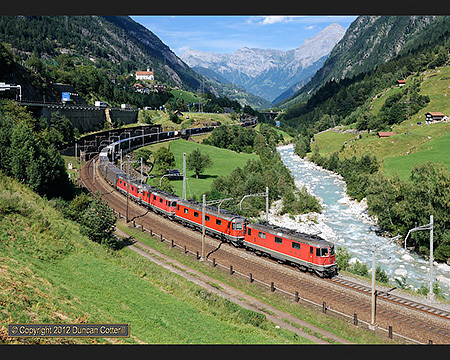 Report of an autumn visit to Switzerland including the Gotthard Pass. 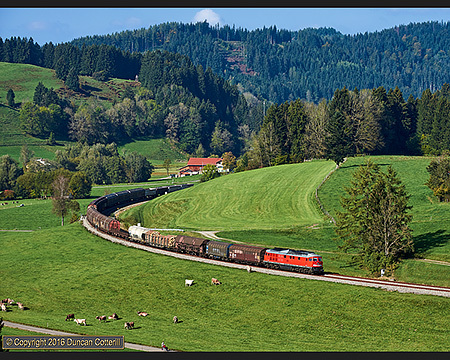 Big diesels on heavy freights in the glorious hilly scenery of northern Bavaria. 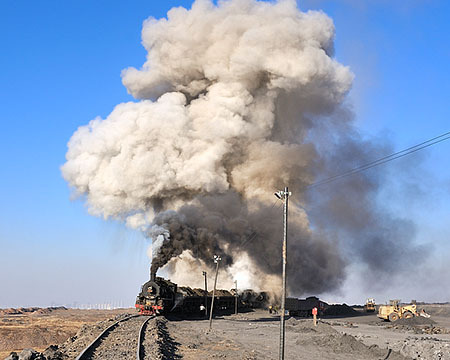 Photos of steam on the Sandaoling Mining Railway in China's remote west. 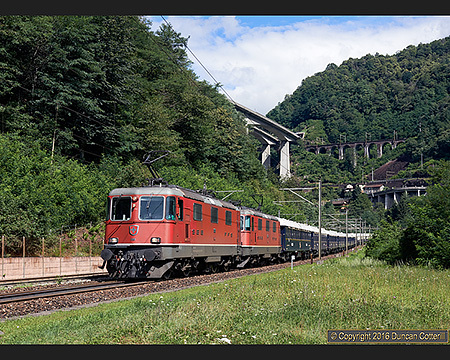 A busy metre gauge main line through the heart of the Swiss Alps. 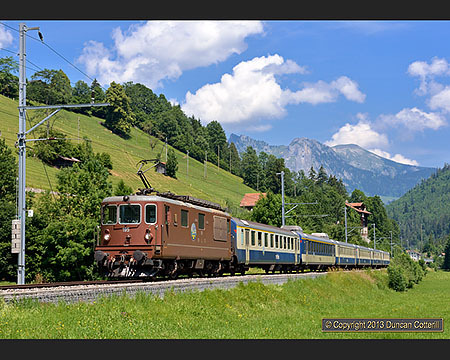 Report of a July 2013 trip to the Berner Oberland including the BLS Re4/4 "Brownies". Ancient electrics still at work on the Fushun Mining Railway in China. This is where to find details of the latest site updates. 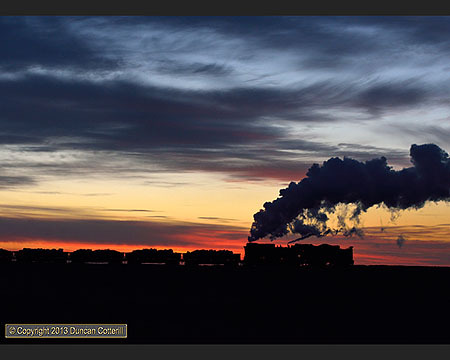 Over 2800 photos in more than 130 galleries covering 11 countries. The Loco Lists and detailed background information on numerous classes. More than 100 trip reports going back 10 years. The latest information and pictures from my photographic trips, as they happen. 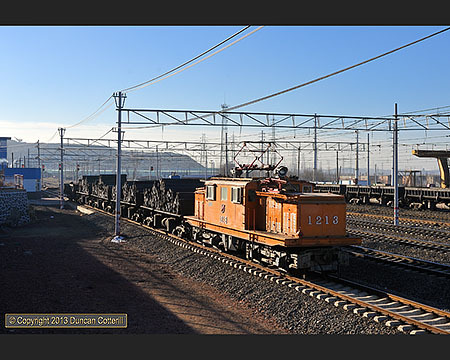 Short video clips of diesels in China. An index of content on a country by country basis. 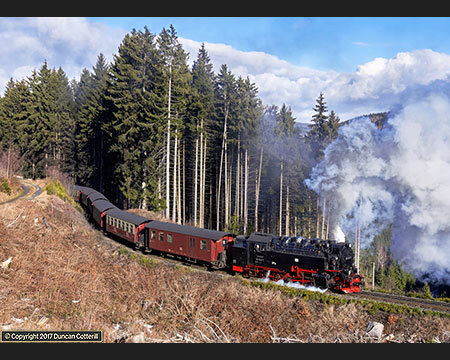 A handful of sound recordings of steam and diesels. 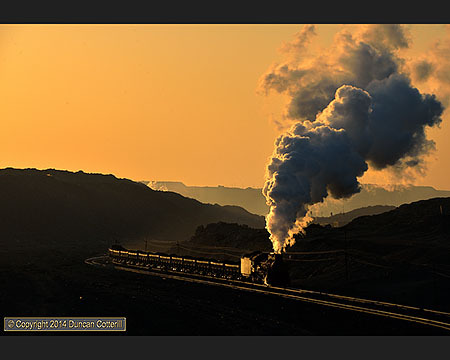 Links to interesting useful sites, usually with a railway, travel or photography bias. A look back at the 10 years since the launch of Tractive Efforts, Railography's predecessor.